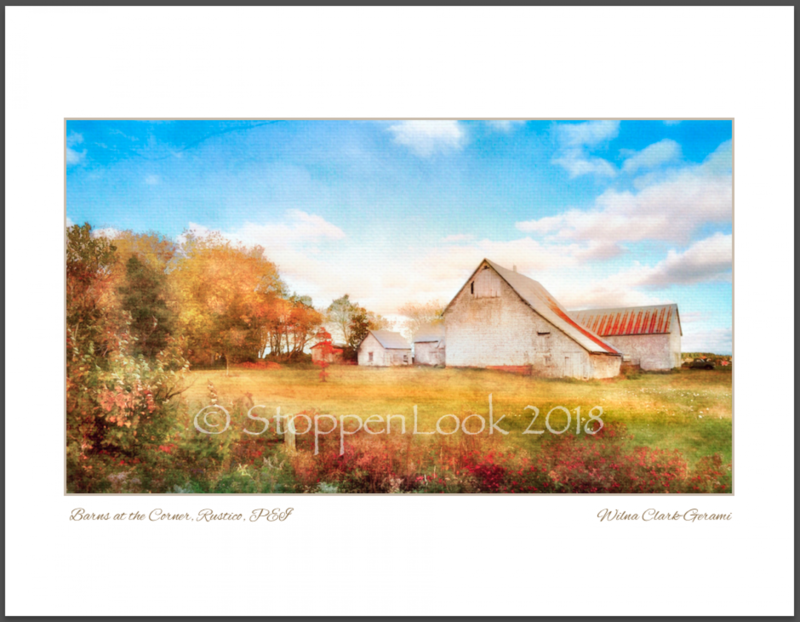 I have an absolute love of old barns and hope one day to do a series of them before, sadly, there are none left! These barns are on a fairly sharp curve in the road and I've craned my neck to get a peek at them many a time. Was very happy to finally get them into an image - what a beautiful sky that day! It was while adding one of the many layers to this photo that I became inspired to, once again, try my hand at watercolour. The illustration 'Snow Kisses' was the result along with another, larger painting of a barn in the works!